Rakesh Patel, MD, has the distinction of being one of the few board-certified urogynecologists in Central Florida. 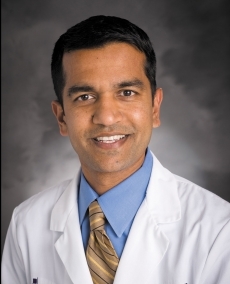 A native of India who grew up in Texas, he is a central member of the urology team at AdventHealth Medical Group and sees patients at their offices in Orlando and Winter Garden. Dr. Patel possesses advanced training and skills in minimally invasive, laparoscopic surgery and offers his patients a full range of treatment options for their conditions. After earning his medical degree at the University of Texas in Galveston, he completed back-to-back residencies in surgery and urology at the University of Florida. He is an established and trusted physician who has been providing urologic care for women across Central Florida since 2003.